In our continuing efforts to display the far-reaching areas of Graduate research at Jackson State University, we have attached here a listing of all Dissertations and Theses from Doctoral and Master’s degree students dating back to 2000. This represents and displays the myriad of topics researched in disciplines that include Business, Chemistry, Clinical Psychology, Early Childhood Education, Educational Administration, Environmental Science, Public Administration, Public Health, Social Work. Urban Higher Education, and Urban and Regional Planning. A review of the titles provides you with a cursory understanding of the in-depth nature of students’ research on both the doctoral and master’s levels. 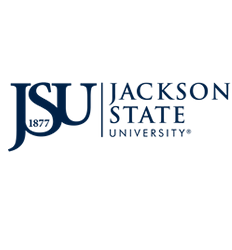 In general, Jackson State University students in doctoral programs must demonstrate evidence of a high level of scholarship, competence in scholarly exposition and an ability to select, organize, and apply knowledge through a dissertation. All doctoral candidates must submit a dissertation based on independent, original research and defend it in a formal, public forum. The dissertation must embody the results of an extended research effort, which is an original contribution. It should reflect the candidate’s ability to conduct independent research and interpret in a logical manner the facts and phenomena revealed. Under a similar set of guidelines, Master’s candidates may submit a thesis or project which is also based on independent, original research defended in a formal, public forum. For additional information on the research of our graduate students, please contact the appropriate department or program.